Agrotechnomarket.com - South Carolina's agricultural crops have been the base of economy in the United States (US) since the settlement of the American colonies. The native Americans cultivated beans, melons, pumpkins, onions, and maize, and British colonists brought indigo, cotton, cattle, tobacco, ginger root and hogs. Farmers developed a highly effective hydraulic system for flooding irrigation the fields and gardens. South Carolina's top-10 valued commodities for 2019 are: broilers, turkeys, greenhouse nurseries, cotton, corn, cattle, soybeans, peanuts, eggs, and wheat. According to South Carolina’s Department of Agriculture, corn, South Carolina produces a wide diversity of crops including cotton, hay, oats, peanuts, soybeans and wheat. are among the state’s most important crops. In addition to, South Carolina also produces the most important crop abundance of leafy green vegetables, such as collard greens, mustard greens, turnip greens and kale. 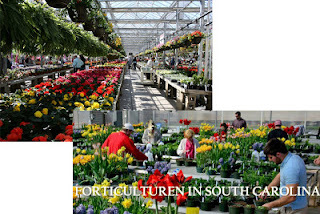 South Carolina has warm and humid climate and it is well suited for producing ornamental plants and floriculture (flower farming) industry. The ornamental horticulture and floriculture industry continues to grow in rows on large tracts of land of South Carolina. Planters now produce an abundance of colorful, fresh flowers, sod grasses and plants to fulfill the consumer needs. With a need for landscaping, at the 350+ golf courses, numerous new businesses, and urban expansion, floriculture became the fastest growing industry to South Carolina. When combined, the floral, greenhouse, turf, and agricultural industries account for $300 million in annual sales. The 21st century brought new technology and new innovation for agriculture.Especially for fresh and processed value-added products are now abundant such as sauces and seasonings, jams and jellies, honey and cane syrup, pecans, peanuts, and popcorn, wines and beverages unique to South Carolina (like American Classic Tea). Other special agricultural crops include artichoke relish, aromatic rice grown on the Pee Dee River, Charleston benne, a variety of sorbets and yogurts, pumpkin chips, and heirloom grits. Corn is an important cash crop with a variety of uses. In addition to being used to feed humans, corn is also used for animal livestock and the production of ethanol. The Clemson Cooperative Extension states that about 320,000 acres of corn are harvested within the state’s borders annually. 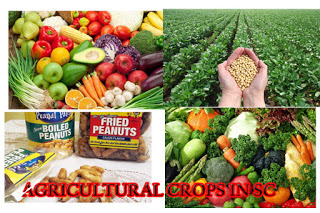 Peanuts have become a major commodity throughout the state and there has been considerable various in fruit and vegetable crops. In most years, South Carolina produces the second most peaches of any state. In addition to, South Carolina consistently ranks in the top 10 watermelon- and tomato-with the state producing a billion pounds every year. South Carolina has about 25,000 farms, which encompass 4.9 million acres. Forests cover two-thirds of the land in the state. South Carolina agriculture is worth $3 billion annually, between crops and livestock. 0 Response to "Top Ten Agricultural Crops in South Carolina 2019"